From Flanders Today: Tourists to Flanders “art cities” over the last 12 months rated their visit an average 8.3 out of 10 and were particularly impressed with the overall beauty of the cities. That’s the result of the latest Art Cities Study carried out by VisitFlanders. 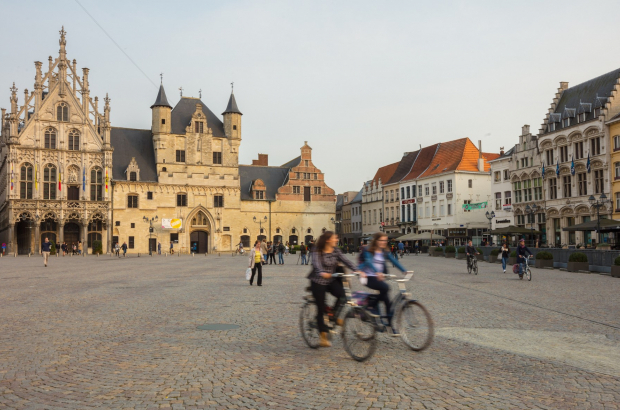 The regional tourist agency co-operated with local tourist offices in the arts cities – Brussels, Antwerp, Ghent, Bruges, Leuven and Mechelen – on the study, which ran from April 2017 to April of this year. Visitors from within Belgium were questioned as well as from abroad. The beauty of the cities ranked the highest by far, with 35% of tourists putting it at number one. That was followed by the rich history of the cities (22%) and the hospitality and friendliness of the locals (21%). Nearly all of the respondents said they felt safe in the city they visited, while 82% said it was a good place to travel with kids and 70% said they didn’t think it was too crowded with other tourists. Most foreign tourists in Belgium come from the Netherlands, France, Germany and the UK. The study includes opinions from tourists from many other countries, however, including the US, China and Russia. French and Dutch... "Foreign Tourists"...I'm sorry, that just sounds so ridiculous to me.